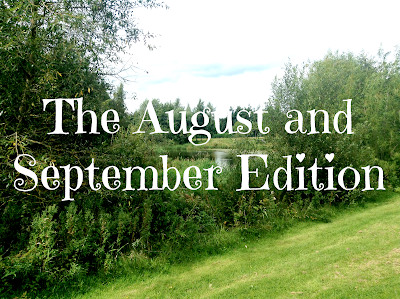 It has been a rather normal paced September since I started back school. August flew in a blink of an eye, my final month of freedom. 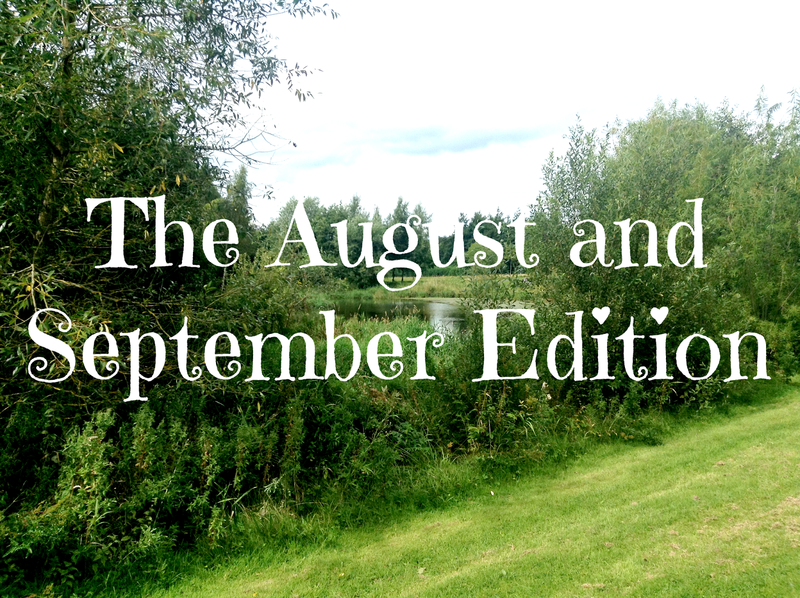 Here are a few things that I loved in August and September. 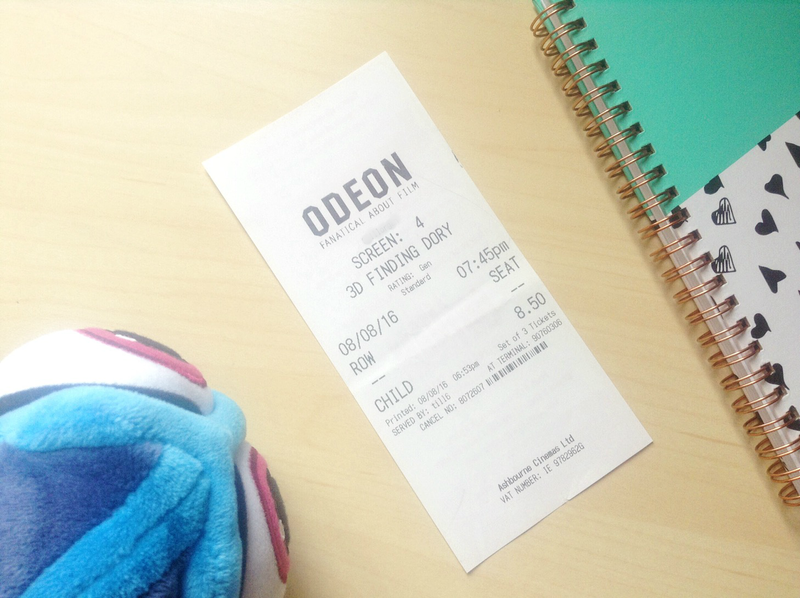 I went to see this when I was in Dublin, I went to see Finding Dory and it is the cutest movie ever. I love Ellen DeGeneres and I have watched videos of her mentioning on her show about how there was never a Finding Nemo sequel and I was so happy when they announced Finding Dory, even though it was supposed to come out in 2015, I loved the movie, it is about Dory trying to find her parents and trying to find out who she was before she forgot it. It is an adorable movie and I loved every minute of it. I have realised now that any product I buy from Lush normally goes into a favourites type post. I think this is my favourite face mask from Lush, I have tried 5 face masks before (Rosy Cheeks, Cupcake, Love Lettuce, Mask of Magnaminty, Catastrophe Cosmetic), and this one is my top favourites as it smells slightly citrusy and is an amazing exfoliator. 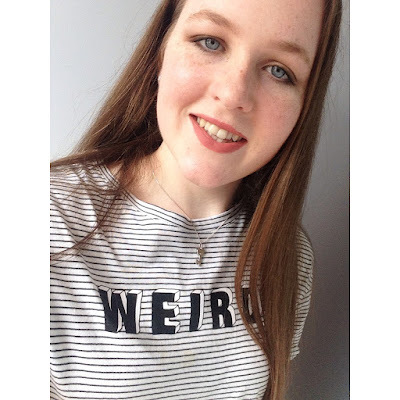 Róisín this is very unusual of you to mention fashion? I know but I had to mention it. When I was up in Dublin I went on a mad shopping spree and picked up a few lovely things. One of these things was this stripped t-shirt with 'Weird' written on it. I knew I had to buy it when I saw it. I had never been in Pull & Bear before and I am definitely going to shop there more often. I love how flowy this t-shirt is and how it can be dressed up or down. I have finally followed the trend and bought myself a plain bomber jacket. I was thinking of getting a green one but black goes with everything so I decided against it. I haven't worn it much yet as I'm in school but I look forward to getting more wear out of it. I also got this from Pull & Bear, I can't find it on their website but I found something similar, click HERE. I was a contributor in the most recent issue of KILORAN Body. I wrote a poem called The Unsolvable Puzzle, I normally don't write poems but I decided to try something different. I really enjoyed contributing and I hope to do it again some time soon. When I was in Dublin, I went to Billy Elliot The Musical. I went in having no real expectations as I had watched the movie in school and thought it was ok, nothing great. The Musical was amazing, I loved every minute of it. The costumes, characters and props were superb. I am so glad I went to see it. In the past 2 months, I put up 4 videos. I put up 3 covers, Somewhere Over The Rainbow, Can't Help Falling in Love and Gasoline (Troye Sivan). I put up one original song Back To The Future which I am very proud of. I like putting up original songs but only if I think they are perfect. Thanks for commenting Kate! Finding Dory is great, I would definitely recommend it. Thanks for commenting Laura! Finding Dory is great.